Help little Papri win the heart of Minto, the boy of her dreams! To be perfectly honest, I wasn't really sure if I wanted to add Girl's Garden to my already long list of projects. While the idea of a cute, non-violent game is appealing, not everyone is into this kind of game, so I felt that its potential to interest ColecoVision fans was uncertain at best. 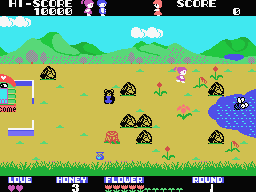 Two events changed my mind: First of all, I was able to have 100 light pink ColecoVision cartridge casings manufactured, which were perfectly suited for Girl's Garden, and secondly, when I told Bruce Tomlin that I had these casings ready, he offered to port the game to the ColecoVision himself! So of course, I decided to go for it, since I'm not one to overlook a great opportunity. 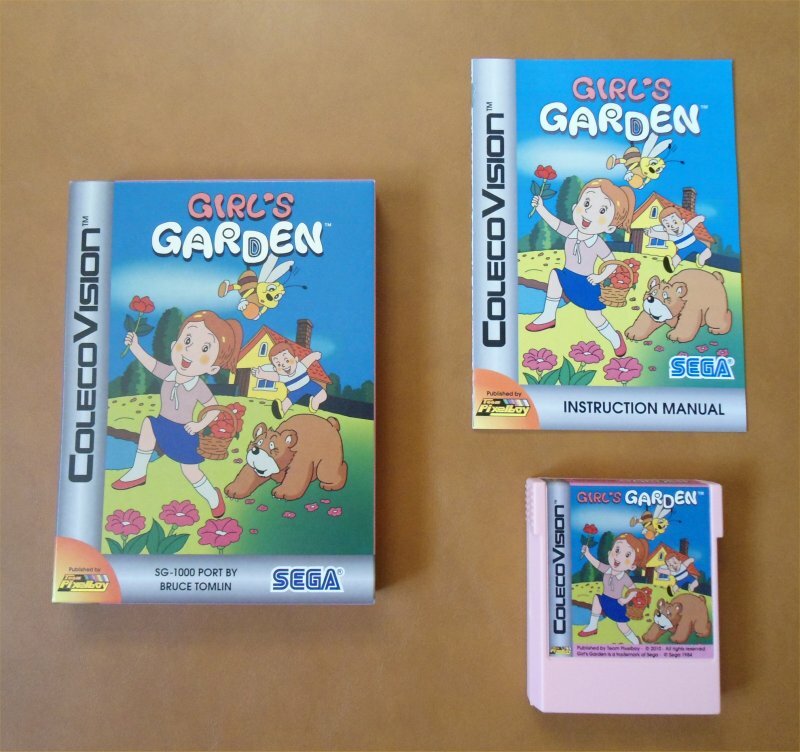 Interestingly, Girl's Garden was the very first commercial game created by Yuji Naka, the main guy behind Sonic the Hedgehog, so porting his work to the ColecoVision is an honor in itself. 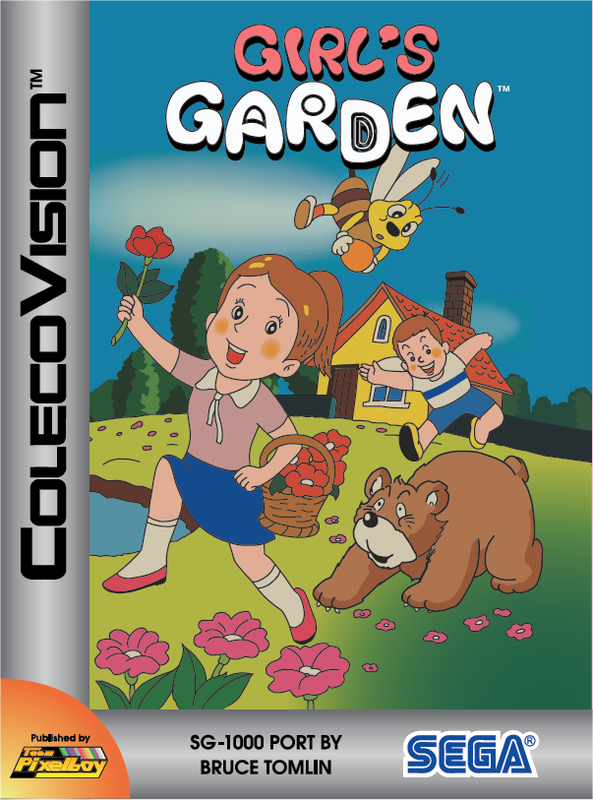 The game may look cute, but don't let that fool you into thinking it's an easy game, as it gets quite challenging in the later levels, and this makes Girl's Garden a worthy addition to the ColecoVision library. SPECIAL THANKS: Jean-François Dupuis and all AtariAge forum members. 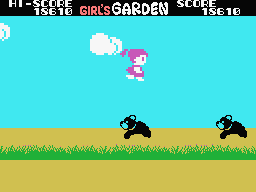 Here is a YouTube video of the ColecoVision version of Girl's Garden.